If wine could teach us anything, it would be that time, love, care, (and proper grapes) are what you need to create perfection. 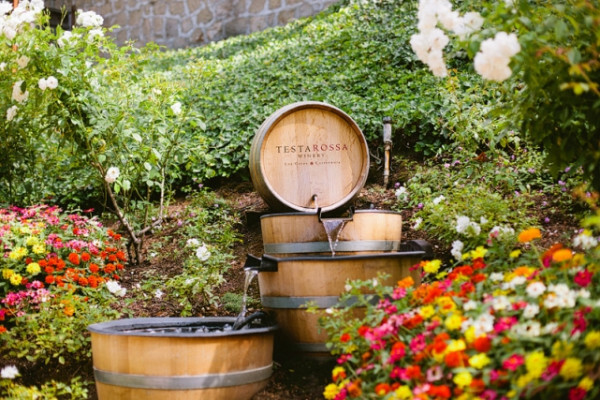 At Testarossa Winery, they’ve got this equation down to a "science." 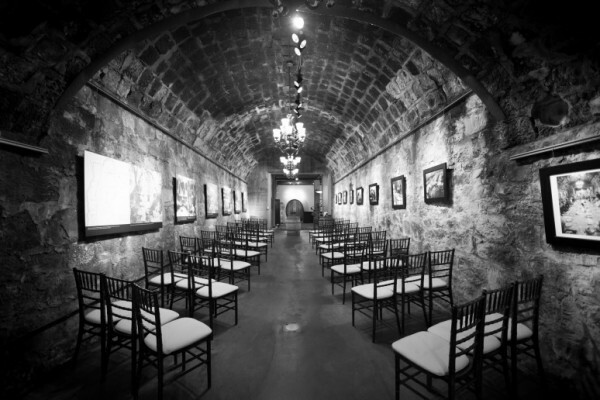 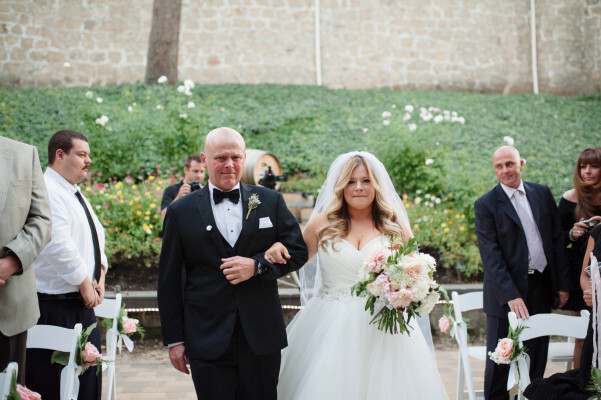 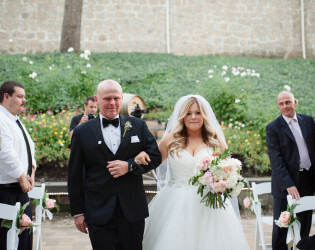 This 19th century wine cellar paired with your 130+ guests, gourmet cuisine, and a backdrop of history is a guaranteed success for your big day! 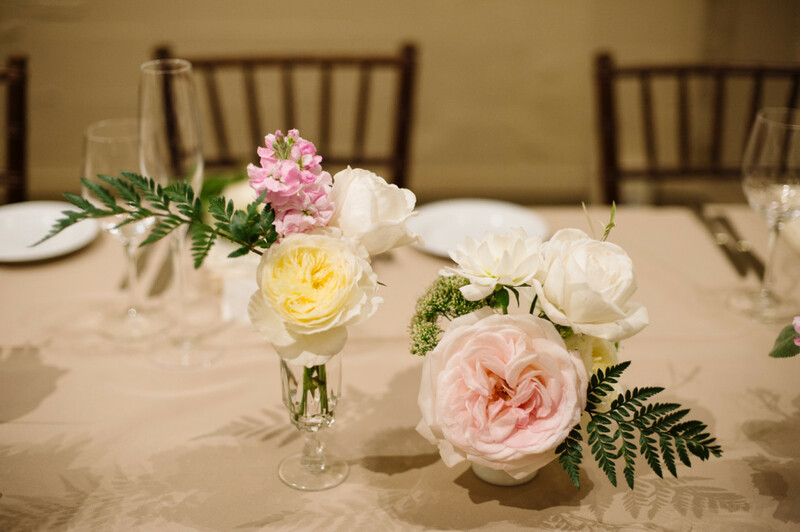 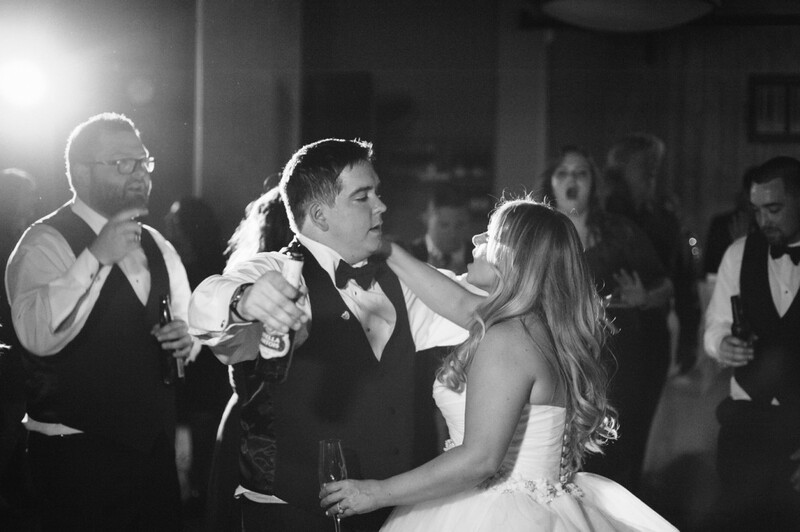 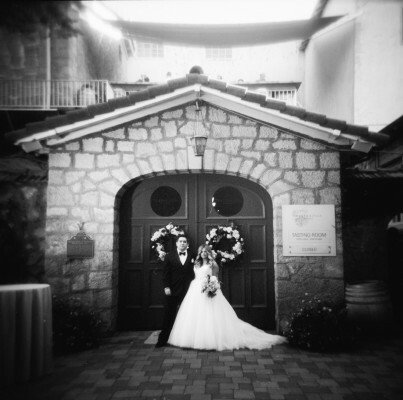 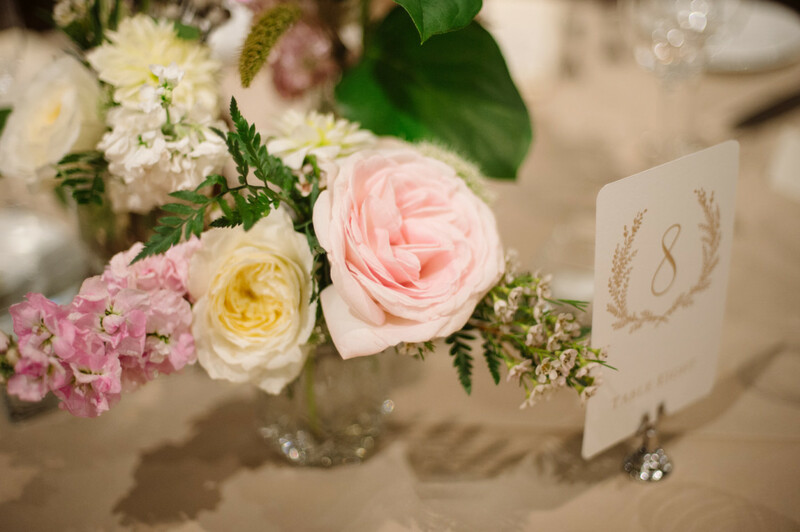 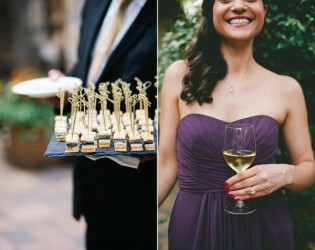 Testarossa Winery offers all the elegance, charm and amenities you are looking for when planning your special day. 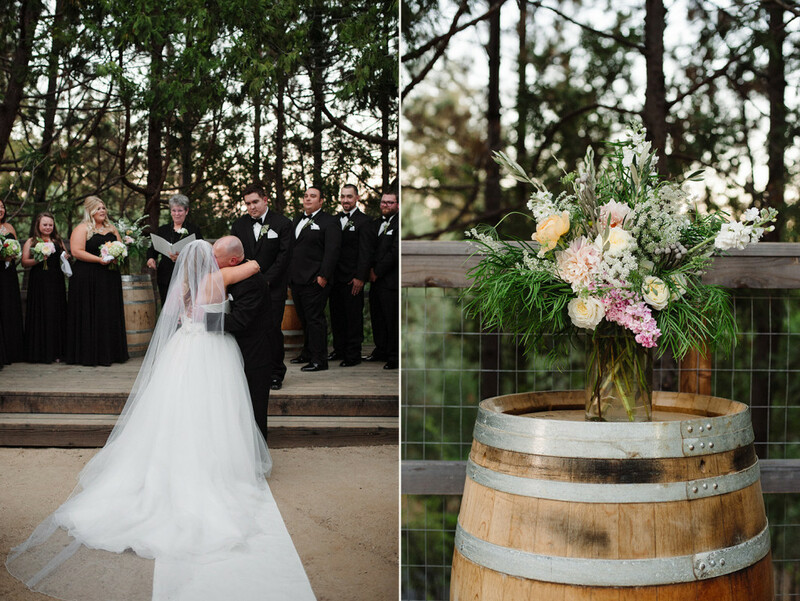 Your wedding guests will be captivated by the magic and lure of our century-old winery while enjoying our award-winning wines. 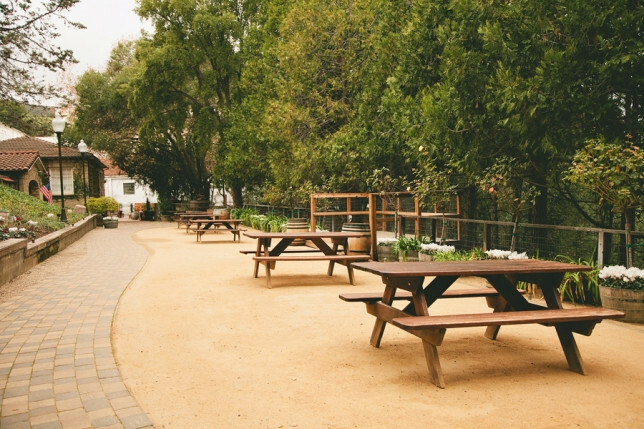 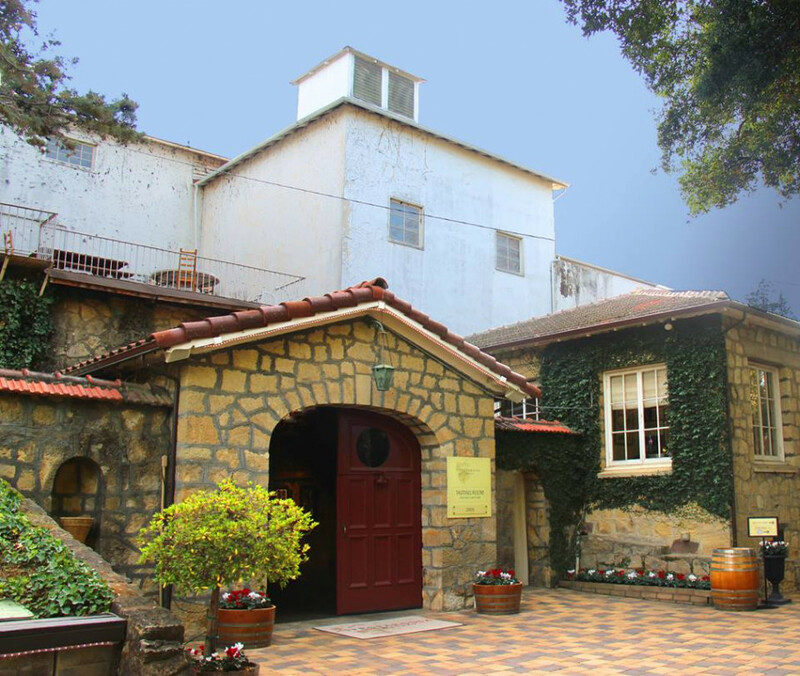 Located in the historic Novitiate Winery, Testarossa is just a half a mile off of East Main Street in downtown Los Gatos. 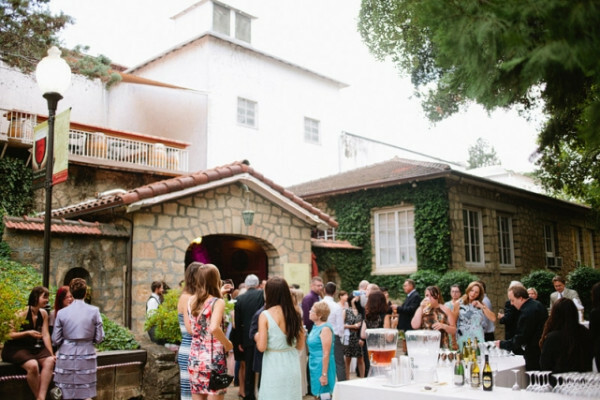 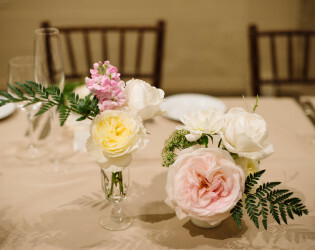 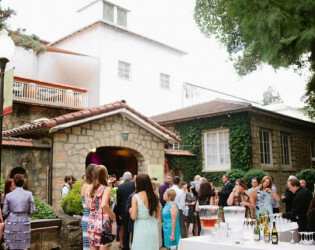 Our 19th century winery is a romantic venue uniquely different than any other; specializing in intimate, evening wedding celebrations. 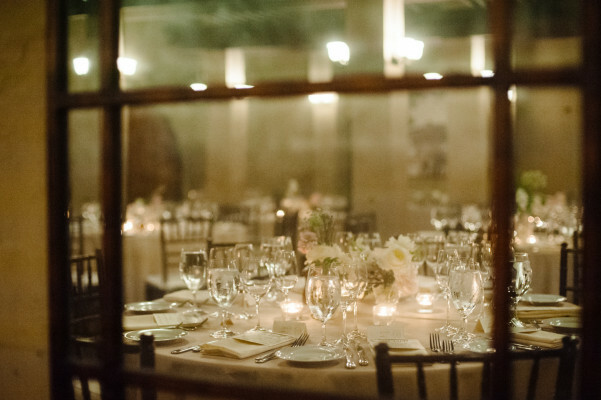 Our historic setting is ideal for celebrating with family and friends. 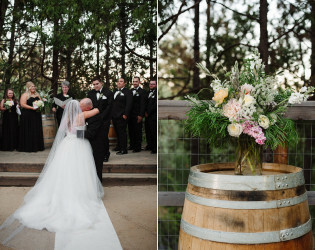 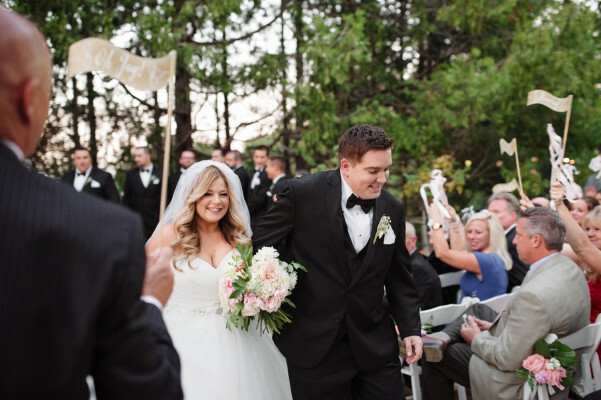 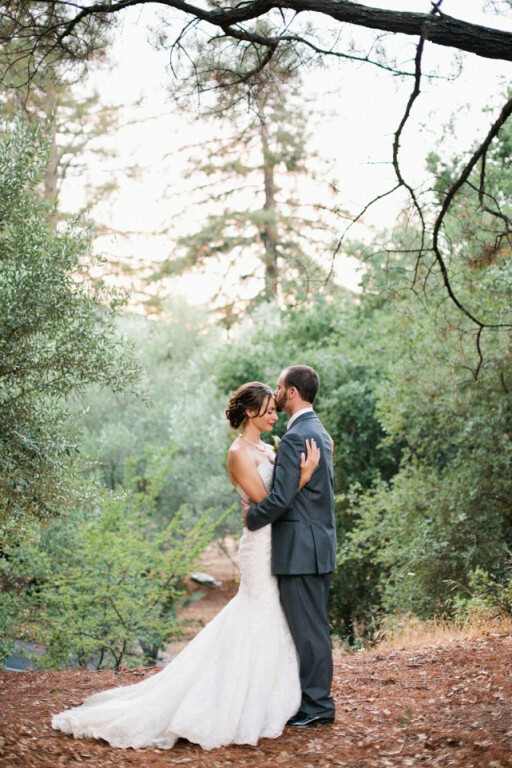 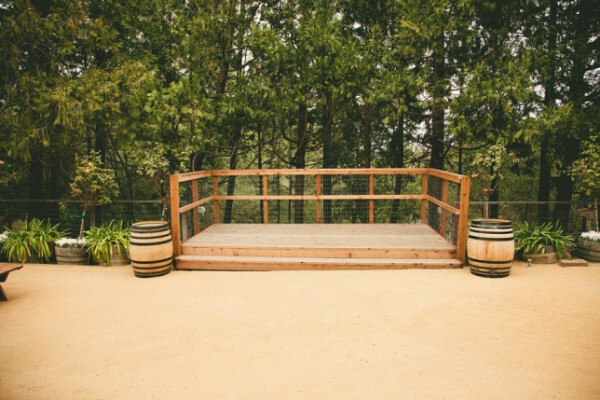 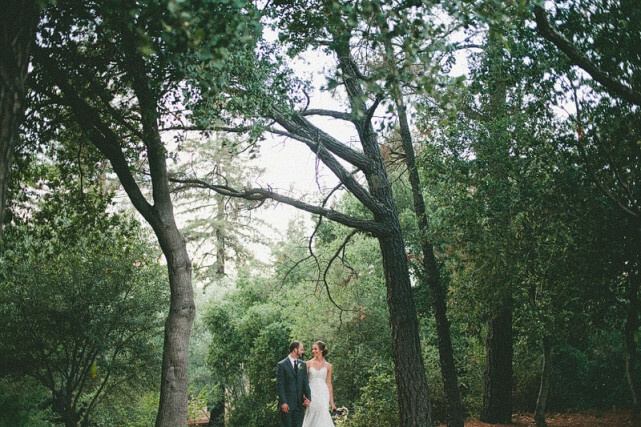 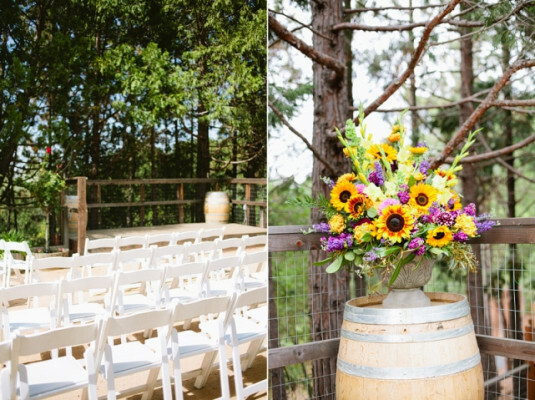 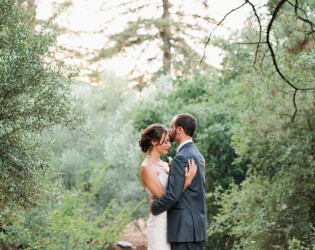 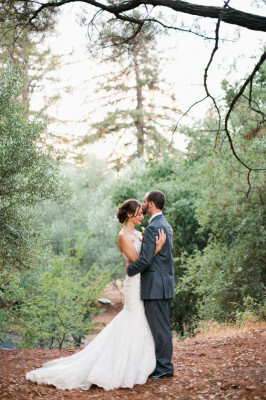 The outdoor patio with its forested backdrop is an unforgettable canvas for a ceremony or wine reception. 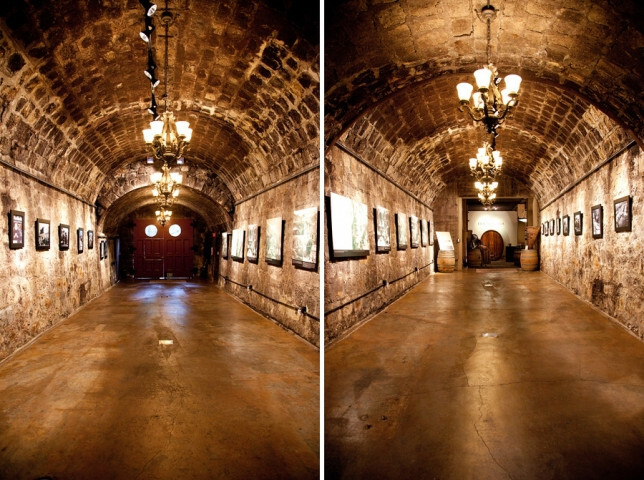 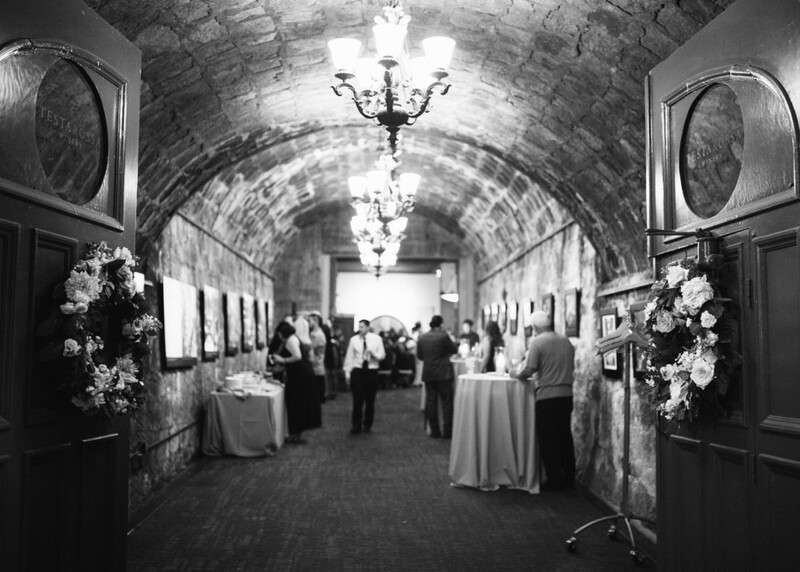 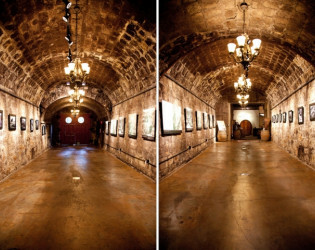 Just steps from the patio is our impressive wine cave, perfect for an enchanting indoor ceremony or soiree. 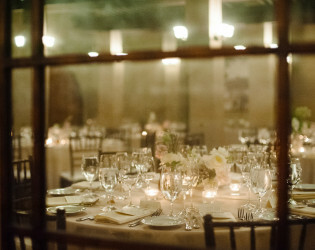 Finish your evening with gourmet cuisine and dancing in our spacious Cask or Tasting Room. 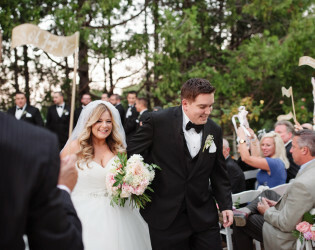 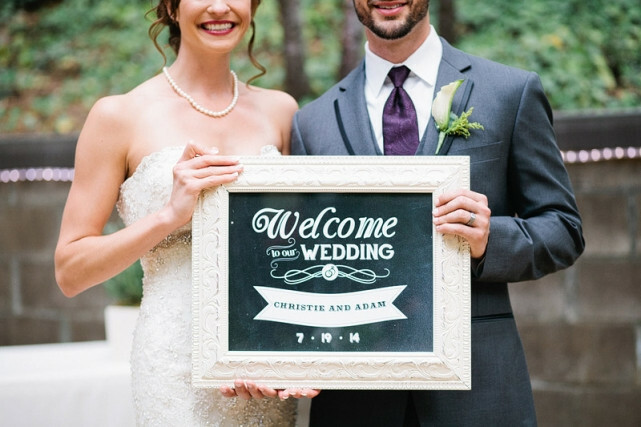 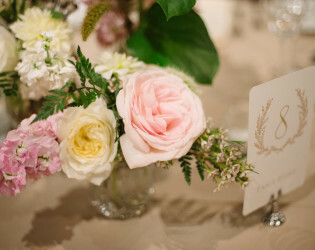 We specialize in weddings up to 130 guests. 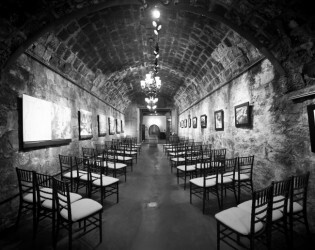 Event Facilities: Use of our historic facilities for a five hour celebration, from 6:30 pm-11:30 pm Set-up and decor: Chiavari chairs for indoors; White cushioned folding chairs for outdoors; Tables in different sizes and shapes; Floor length linens in ivory or khaki; Riedel crystal glassware; White china; Stainless steel flatware. Non-alcoholic beverages: Sodas, bottled water, coffee and tea. 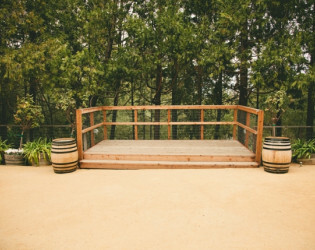 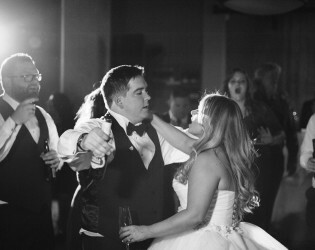 Dance floor: Dance floor will be set up in the Cask Room for parties up to 80 guests, and the Tasting Room for larger weddings. 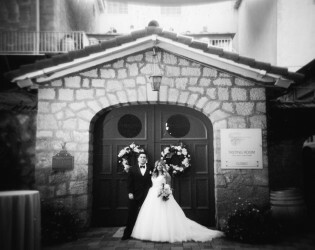 Ceremony Rehearsal and Coordination Services: One hour rehearsal for those having their ceremony at our winery (before 3 pm the day prior); Initial meeting and site tour explaining all of the policies and possibilities at Testarossa Winery; Guidance in selecting vendors from our preferred vendor list; Assistance in wine and menu selection; Final meeting to confirm all details, including time line and floor plan (1 month prior); Day of event coordinating. 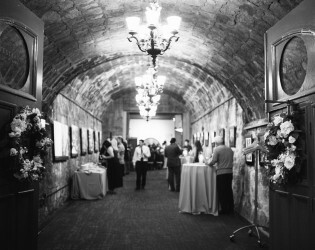 Truly unique, historic setting for a one-of-a-kind event. 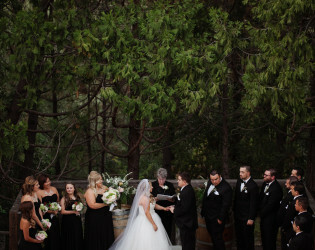 Testarossa Winery offers all the elegance, charm and amenities you are looking for when planning your special day. 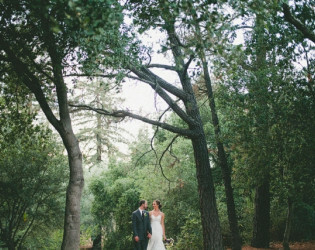 Beautiful greenery for photo backdrops. 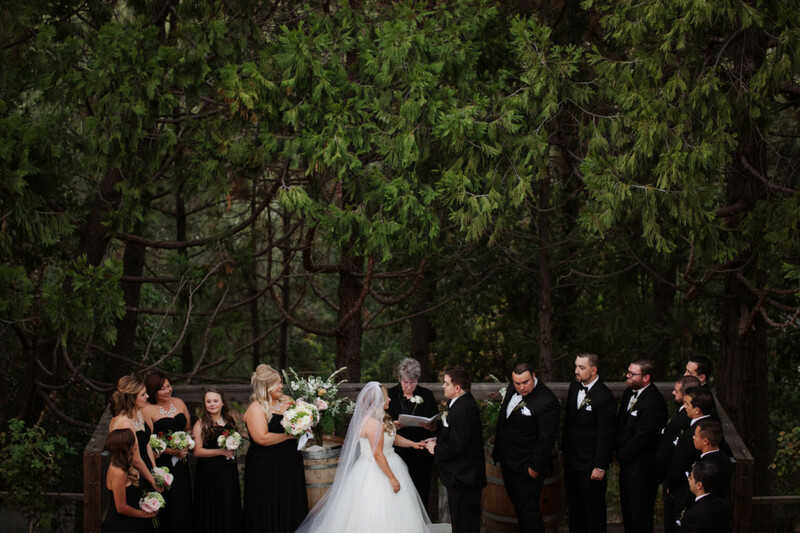 Your wedding guests will be captivated by the magic and lure of our century-old winery while enjoying our award-winning wines. 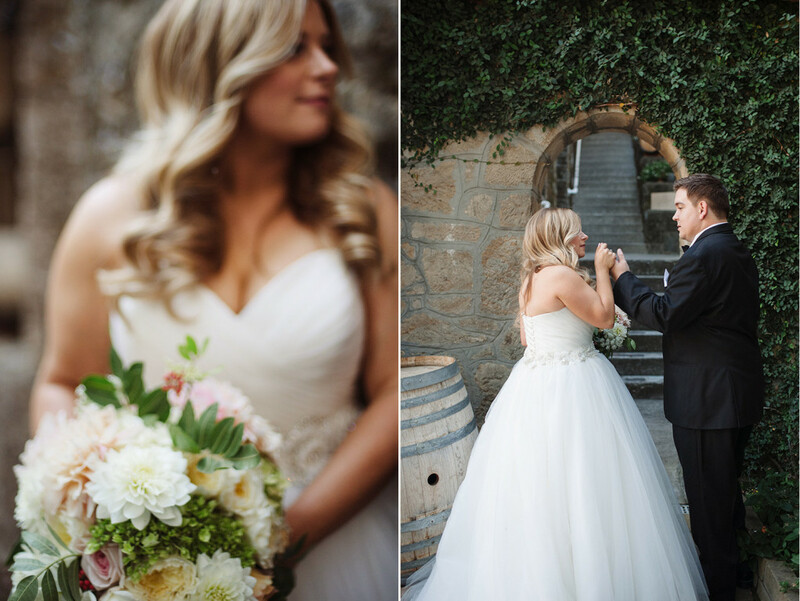 Our 19th century winery is a romantic venue uniquely different than any other; specializing in intimate, evening wedding celebrations. 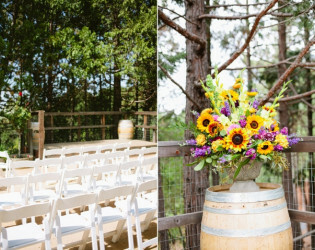 The outdoor patio with its forested backdrop is an unforgettable canvas for a ceremony or wine reception. 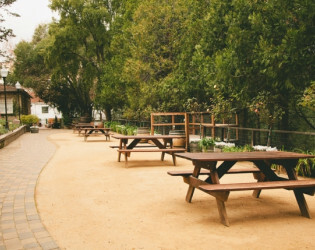 Great outdoor space for holding events. Rustic old charm throughout the property. Just steps from the patio is our impressive wine cave, perfect for an enchanting indoor ceremony. Our garden patio with its forested backdrop is an unforgettable canvas for guest arrival and wine reception or outdoor ceremony. 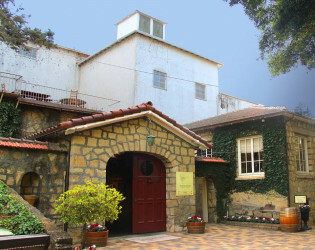 Experience the history of the Novitiate Winery, established in 1888. To further simplify your wedding planning, we offer full service catering packages created by our Executive Chef Dave Page. 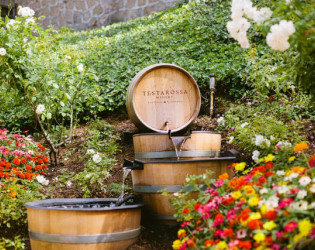 Experience world-class Pinot Noir and Chardonnay from some of the finest vineyards on the central coast. Finish your evening with gourmet cuisine and dancing in our spacious Cask Room.